The only truly mixed-use “city within New York City,” Long Island City, Queens, located directly across from Midtown Manhattan, is undergoing a period of explosive transformation. Indeed, it has recently been labeled as the fastest growing neighborhood in the U.S. Some of the city’s key corporations already have their offices here, and more are coming every day. New, creative companies are finding the area enticing, joining the 6,600 companies with over 106,000 employees already here in everything from major film/television studios, to high end industrial, to airlines, banks and more. 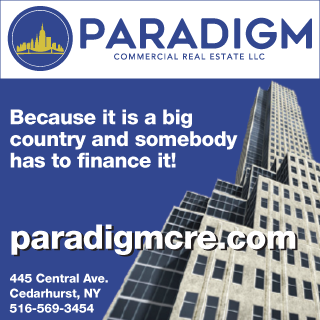 Increasingly, it is a place that many New Yorkers, from many points along the economic spectrum, also call their home, with over 70,000 already here. Cultural attractions are drawing an international audience, and leveraging the 31 hotels with 3,000 rooms. The Cornell Tech campus opening on Roosevelt Island this year is already turning to adjoining LIC for services and space for its small business start-ups. Local education leaders LAGCC and CUNY Law School have over 55,000 students between them. Over the next year, more than 10,000 units of housing will open in LIC, which will nearly double the area’s existing inventory. This will bring the total number of residential units built in LIC since 2006 to more than 20,000. Over the past 12 months, there was a deal volume of more than $2 billion in commercial and investment sales in the neighborhood. LIC is New York’s fastest-growing neighborhood with a development pipeline of 4 million s/f of commercial space and more than 400,000 s/f of retail in the greater LIC area; 21,500 residential units in the pipeline; another 30 hotels are in planning/development. As the western Queens neighborhood continues to grow, so is the demand for retailers that provide key services to fill in the hundreds of thousands of retail s/f coming online. The LIC Partnership surveyed area workers and residents about their retail needs. Restaurants, pharmacies and grocery stores were identified as the top three retail options needed in LIC. Despite the 133 dining establishments currently in the area, there is a big appetite for more. Why LIC and why now? One of the reasons is LIC’s unparalleled access to transportation systems that connect the region, including 13 MTA subway stations and eight lines, 17 bus lines, the LIRR, expanded ferry service, four bridges, one tunnel to Manhattan, access to main roads and major highways, and LaGuardia and JFK Airports. All of which is important in an increasingly global and regional economy. Long Island City’s location, mixed-use character, cultural vibrancy and interdependence among the diverse businesses are this neighborhood’s greatest assets, which creates a perfect recipe for the district’s future success. To enhance the incredible revitalization and position it to capitalize on future opportunities, while continuing to benefit from its truly mixed-use character, the partnership created the “Long Island City Comprehensive Plan: Phase 1.” The plan addresses how to leverage the district’s tremendous market potential and guide public and private sector investments in LIC to balance growth across sectors. Despite its current development boom and historical economic importance, LIC has never been studied across its full geography and across its many sectors. This Comprehensive Plan presents recommendations that aim to inform the neighborhood’s future development to promote an active, mixed-use, economically and culturally vibrant Long Island City. Thoughtful planning is crucial at this key moment to foster the mix of uses that has helped attract investment and to ensure that businesses and organizations across all sectors in LIC, as well as residents and visitors, can take advantage of opportunities on the horizon. Implementing these recommendations will impact all sectors and help to maintain and foster an equitable, mixed-use, culturally robust, full-service community in LIC. Through targeted interventions and partnerships at the local, city, state and federal levels, leveraging the phenomenal private investment and existing community assets, LIC can be a model 21st century mixed-use neighborhood for communities in NYC and throughout the country. Elizabeth Lusskin is president of the Long Island City Partnership, Long Island City, N.Y.